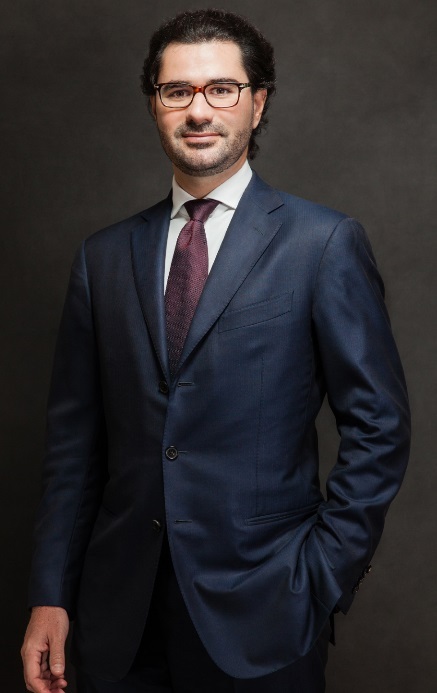 After my studies and my first work experience as credit analyst, in 2003 I started working for the family business, the Baglioni Hotels Spa, founded by my father Roberto Polito. My first experience was the project for the opening of the new Baglioni Hotel London, looking after the construction phase, putting together the opening team and following the pre-opening and start-up period. Tell us about Baglioni Hotels. What inspired the idea and what is your vision for the company? Baglioni Hotels Group was established in 1974 when my father bought his first property in Tuscany, the Hotel Cala del Porto in Punta Ala. Today Baglioni Hotels is the only independent luxury Italian hospitality brand with a collection of 8 exclusive hotels and a resort, most of which are situated in palazzos in Italy’s main cities: six in Italy (Milan, Venice, Florence, Punta Ala and Rome), two in France (Aix-en-Provence, Saint Paul de Vence) and one in the UK, in the heart of London. Our slogan “The unforgettable Italian touch” is the promise that every stay with us will result in an unforgettable, rich and fulfilling experience. Each Baglioni Hotel has its own unique Italian spirit, because it lives in harmony with its urban environment and becomes a point of reference. We represent the best of Italy and have the privilege of bringing the Italian culture to our guest and being a source of everlasting memories and traditions: hospitality, fashion design and cuisine. A great American writer, John Steinbeck once wrote, ‘People don’t take trips. Trips take people.’ Most of my tender memories are related to my journeys — smell, taste, sounds and colours all have moved my senses and imagination, settling in my heart and mind, forever. This has been the inspiration behind my vision for Baglioni Hotels today. What strategic partnerships/marketing strategies have you implemented that have attributed to Baglioni's success? Luxury traveller is seeking access to unique, authentic experiences. In order to correspond this type of requirements we have built a partnership with Dream & Charme to curate exceptional moments for our guests, giving them the opportunity to discover the best of Italy’s culture, design, fashion, food and wine in each of the cities of our hotel properties. For example, Luna Hotel Baglioni guests have access to some of the best culture in Venice with a private tour of the Doge’s Palace including rare access to the Piombi prison and the Bridge of Sighs and a dinner in the home of a renowned Italian aristocratic family along the Grand Canal. For the design, we rely on the advice of experienced architects and designers who, in close collaboration with the Polito Family, implement ad hoc projects in line with the Baglioni Hotels style. One of our key partners is the Rebosio+Spagnulo Design studio, based in Milan. Attention to detail and a constant tension between modernity and tradition, typical of the Italian approach to interior design, characterises the studio’s projects. The customer is changing and is more and more value-oriented and experience oriented. Luxury travellers give quality as a granted feature of a hotel therefore hotels need to work more and more on the intangibles such as the warmth of the staff and the memories that clients can bring home with them through unforgettable experiences. Your greatest success as CEO of Baglioni Hotels? Most difficult moment-how did you overcome and what did you learn? I would say that both moments coincide. I become CEO in 2011 during the most severe economic crisis that has strongly affected the hotel industry but thanks to a very hand zone approach I have been able to take BH through these difficult years working on the costs side but without losing our focus on quality and developing further our brand reputation on the market. Having a strong vision of where you want to bring your company, stick to your values and always listen and care. Describe the ideal experience at a Baglioni hotel. When we travel, we often find ourselves in search of something, something that’s richer, deeper and more articulated than an ordinary transfer from one location to another. We seek new experiences, emotions, and stories which tend to remain within us, becoming the fabric of our memories with our family, friends and colleagues. Design and architecture are always important in defining the hotel experience. Each Baglioni property is in the very heart of cities that are the epitome of art and architecture. Each one has been carefully designed to bring the energy and style of the city within the walls of the hotel with a specific personal flavour. Baglioni Hotel in London is also the most significant example of innovative style that has reinvigorated the image of the brand thanks to a close attention to detail, the careful selection of materials, and a constant balance between tradition and modernity. Once again, we love to exalt the Italian creativity and give our clients a full Italian experience. For example, “Design the Italian excellence” is a concept curated by Vincenzo Basile for the Carlton’s Caffè Baglioni. He selected unique objects of masters like Ettore Sottsass, Enzo Mari, Ugo La Pietra. Motivation plays a key role in keeping employees happy and customers satisfied. In order to succeed in our mission, providing our guests an unforgettable experience of hospitality, our standards of service, expertise, dedication and attention to detail should always be the highest, with no compromise. We select passionate people, who are ready to share our philosophy and be ambassadors of hospitality Made in Italy. To achieve this together, we provide growth and career support to consolidate prior knowledge and individual strengths. Bistecca alla fiorentina and a glass of red wine. Definitely my father. He created a unique concept of hospitality: our hotels are like our home, elegant and discreet, yet open and alive. I learnt his passion for the adventure, for the fun and the ambition. In addition the balance he has always had between business and family stays with me. Thank you for this question because it gives me a chance to talk about a place that’s dear to my heart in so many ways. It is Punta Ala, located along one of the most beautiful beaches in Tuscany, equidistant to Florence and Rome. That is where my father founded Baglioni Hotels with Cala del Porto, our first property and it is where I was born. It is a vacation favourite for Italians but one of the few undiscovered coastal regions in Italy by the American traveller. We have important projects in the pipeline for our Collection. We wish to push the brand into new markets, beginning with the opening of a resort in Marrakech and doubling our presence abroad, the Arabic Peninsula as well as Paris and New York, always maintaining our identity as Ambassadors of Hospitality Made in Italy. Since we are not a public company, we are able to consider only properties that are beautiful and can add value to our Group.